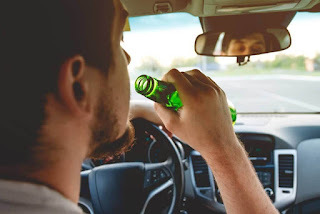 Mumbai, 3rd January 2019: Truebil, India’s leading omni-channel platform for buying and selling of pre-owned cars, recently announcedDon’t Drink and Drive’ campaign, aimed at encouraging revelers not to drink at all if they plan to drive. Truebil, decided to start an initiative to build awareness around the topic, create a buzz and help save lives. Thus was born the ‘I am Sober’ campaign a year back. Encouraged by the overwhelming response, this year they followed it up with the ‘Don’t Drink and Drive’ campaign that dwelt on the scary effects of drunk driving; on the horrifying aftermath. This year too, the idea is to ensure a safe and secure night of merrymaking for its customers this New Year’s Eve. As part of the campaign, three short videos have been released on Truebil’s digital and social media pages to promote the key message that driving after drinking is definitely a bad idea. Drunken driving is one of the major reasons behind fatal road-accidents in the country. The problem aggravates at its peak during New Year’s Eve, when people attend late night parties and end up driving recklessly on the roads. While the government, bars, and many public-service bodies are making precautionary arrangements in the form of booking cabs, providing temporary drop-off facilities, Truebil’s digital videos promote the idea of responsible or no drinking to make it a joyous occasion for everybody.